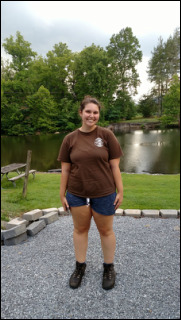 I study the ecology, evolution, and conservation of aquatic ecosystems with particular focus in rivers and geographically isolated wetlands. Work in my lab group uses a combination of field and mesocosm studies with larger spatial scale analyses and syntheses. With a focus on aquatic insect, mussel, and amphibian communities, I try to understand the linkages between organisms and ecological function. 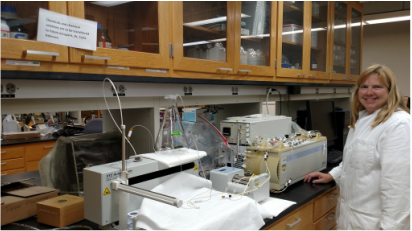 Research focuses on southeastern US rivers, geographically isolated wetlands of the Gulf Coastal Plain, and some work on tropical stream systems and Alaskan tundra streams. Garrett Hopper - Coming soon! I am an aquatic ecologist with broad interests in community ecology, ecosystem structure and function, and conservation biology. My research addresses two basic themes: 1) identifying patterns and processes regulating species diversity and habitat associations of stream organisms; 2) influence of global change on the relationship between diversity and stream ecosystem function. I combine field, mesocosm, and laboratory studies to understand these interactions and processes. Garrett will be working on the Mussels Dimensions of Biology project. My previous research projects have included anti-predator behavior between southern toads and invasive fire ants, and the effect of prescribed fire on vertebrate behavior. I have wide research interests which include animal behavior, predator-prey interactions, reptile and amphibian morphology, and ecological stoichiometry. For my graduate research, I am interested in studying how amphibians can affect their ecosystem, other species, and different trophic levels. My work take place in geographically isolated wetlands at the Joseph W. Jones Ecological Research Center in Newton, GA. I am interested in how biotic communities organize and function. I am examining freshwater mussel communities to determine to what extent mussels partition resources within the community to better understand how these animals co-occur with so many potentially competing species. I am also investigating the ecosystem functions carried out by freshwater mussels and the interplay between mussel niche space and ecosystem function to determine whether species specific niche characteristics augment their ecosystem function. Irene Sanchez Gonzalez - coming soon! I am interested in the diversity of traits of freshwater mussels, including morphology or nutrient storage, and how those traits vary across environmental gradients. 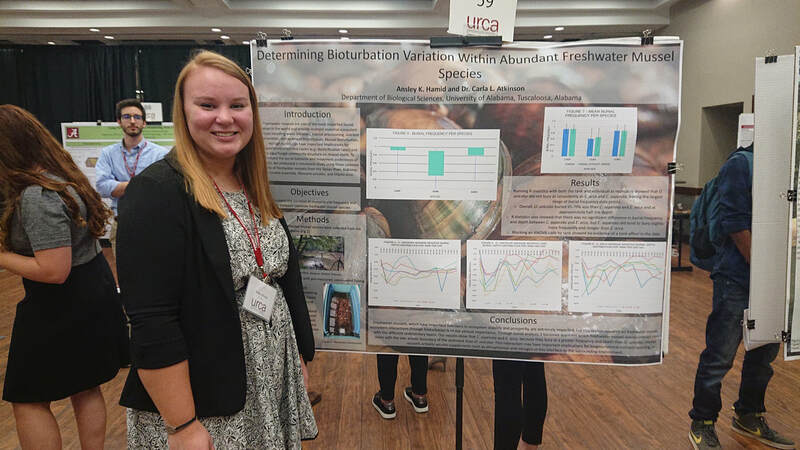 I plan to study the influence that mussel diversity has on ecosystem functioning with lab experiments and field observations in several streams draining into the Tennessee and Mobile River Basins. Some of my previous research includes: land use impacts on water quality and the influence of river habitat on freshwater mussel community structure. 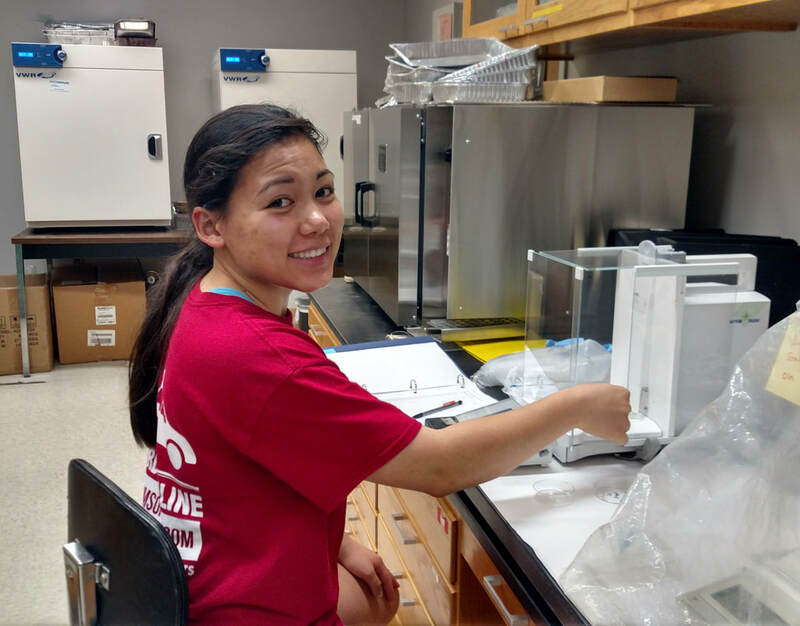 Lab assistance and LACHAT, Seal, and CHNS analyzer extraordinaire! Chloe's research interests involve finding the best sticks when she comes out for field work. She particularly favors sticks near rivers that are thrown for her chasing enjoyment.